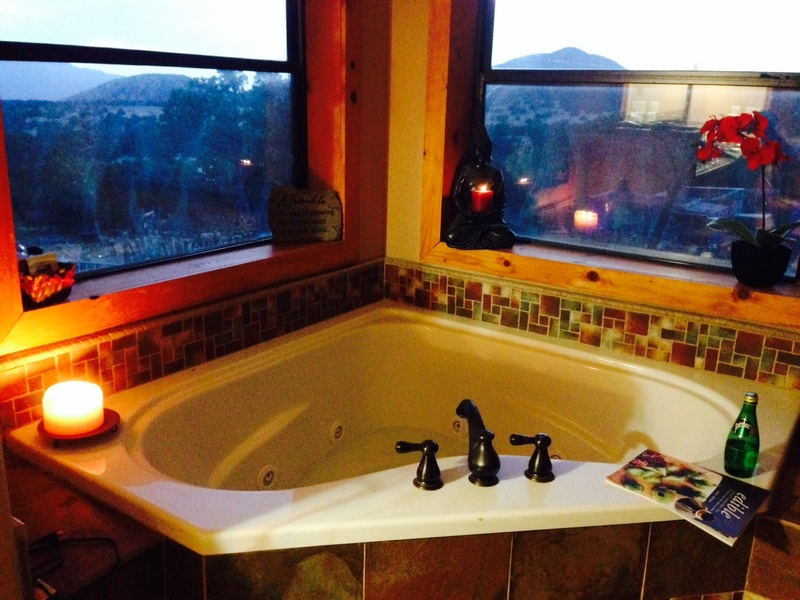 Where do you unwind? A bathtub post. I didn’t actually write this post from the bathtub. I was terrified I might drop the laptop in. Besides that would negate the relaxing part to bring the technology with me, although I have been guilting of Pinteresting from my iPhone in tub! Do you have a place in your home that’s a wonderful retreat? Mine is my master bathtub although I rarely use it. It takes so much water to fill it that we have to crank the water heater up which requires pre-planning and in the southwest where water is such a premium I can’t do it often because then I feel guilty and that’s not relaxing but oh geez when I do…. it’s wonderful…. I needed that after all the pallets hubby has made me move around for the chicken coop construction project (more on that soon I promise) because I was super sore after our productive weekend and I kept thinking it would go away but it’s Tuesday and my arms are still killing me. *Disclaimer- Sorry guys if this is totally a chick post but now you know if you want to be really sweet sometime. Offer to handle the child duties for an evening and feed them marshmallows and peanut butter *Disclaimer within my Disclaimer- (I don’t know if that really works or not I just made that up but it sounds genius to me, I better try it out- sticky and fluffy= less talking? before I give people advice like that.. hold off on feeding the children things like that… or don’t blame me at least… I should stop talking now…) or at least figure something out the whole time so you can keep them quiet and she can enjoy herself! ← Fresh Eggs Daily! It’s what’s for dinner….